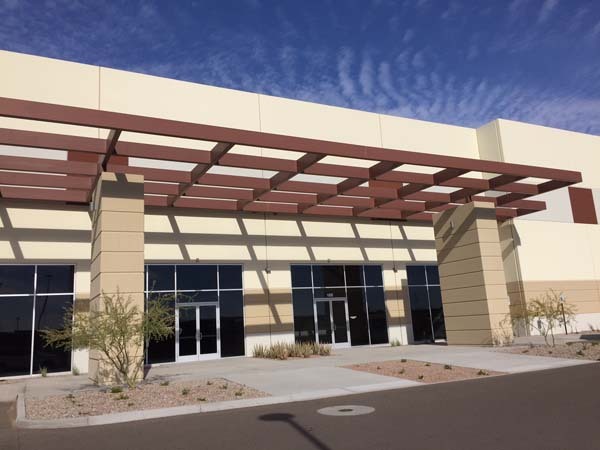 LAI International's new 39,410-square-foot facility in Tempe, Ariz., will house an engine program for the commercial aerospace industry that will focus on machining, including EDM, and the use of coordinate measuring machines. Graphic courtesy of LAI International, Inc.
TEMPE, Ariz.–LAI International, Inc, a manufacturing provider to the aerospace, military, energy, and medical industries, opened a new 39,000-square-foot facility in Tempe Arizona, early this year. The new factory's engine program for the commercial aerospace industry will focus on machining, specifically electrical discharge machining (EDM) capabilities, as well as coordinate measuring machines. The need for additional factory space stems from several long-term purchase orders and contracts with some of the aerospace industry's top manufacturers, the company said in a press release. "The efforts by our associates to produce high quality, highly engineered products utilizing our business systems has given our customers the confidence to reward LAI with this tremendous growth opportunity," said Mike Koesling, LAI's vice president of engineering, in a statement. "In addition to the cornerstone program that enabled this expansion, LAI will be expanding capabilities to support our additive manufacturing offerings. We will provide customers better turnaround times to minimize their need to have extra inventory on the assembly lines. This is one of the key benefits that our customers see with leveraging additive manufacturing technology–shrinking the time it takes to complete the complete value stream." The original Tempe location is the company's headquarters and home to its additive manufacturing and waterjet facility. With the new Southwest expansion, LAI will have more than 260,000 square feet of manufacturing space across its nationwide locations, including Tempe, Arizona; Green Island, N.Y.; Scarborough, Maine; and Westminster, Maryland. Manufacturing capabilities across the locations include additive manufacturing, waterjet, laser, EDM, CNC machining, welding, and fabrication. LAI International (www.laico.com) provides highly-engineered, mission-critical components for companies in the aerospace, defense, energy, industrial, and medical sectors.